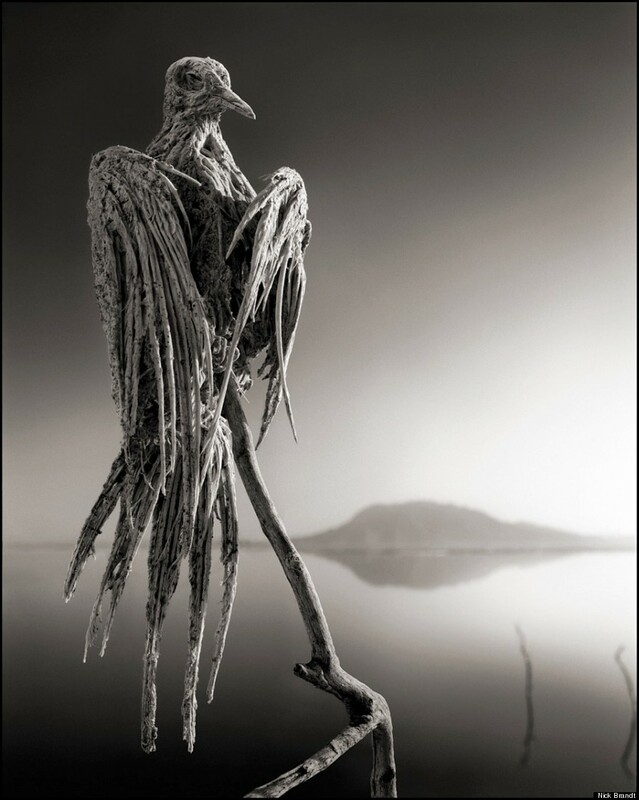 Approaching the shoreline of Lake Natron in Tanzania, photographer Nick Brandt faced at eerie sight: There, lying on the earth as still and stiff as statues, were calcified corpses of a variety of birds and bats that had met their untimely demise after crashing into the deadly waters. 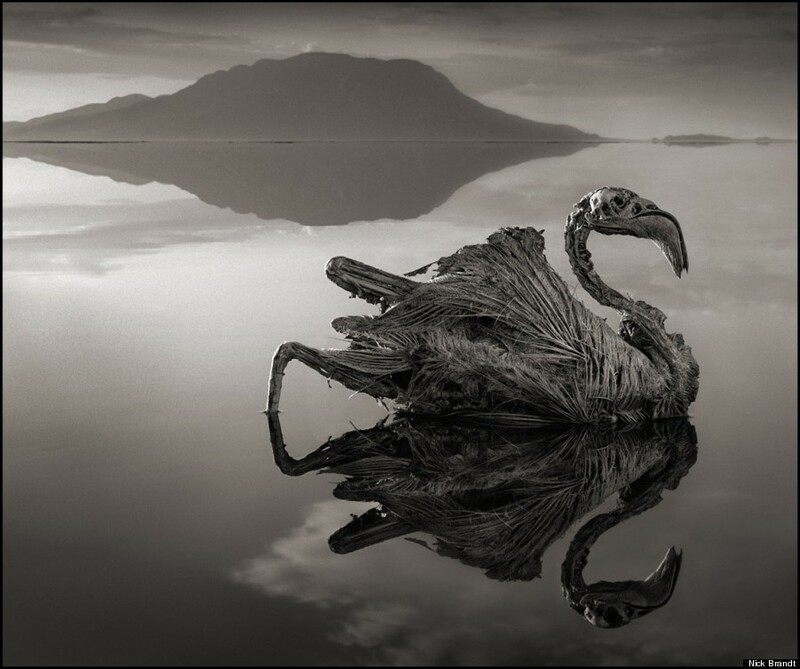 Other than serving as a breeding area for the endangered Lesser Flamingo and as a home to certain kinds of algae and bacteria, Lake Natron is inhospitable to life. Blood-red from the bacteria that live in it, the salt lake is steaming hot, with temperatures that can reach up to 140 degrees Fahrenheit, according to the New Scientist. 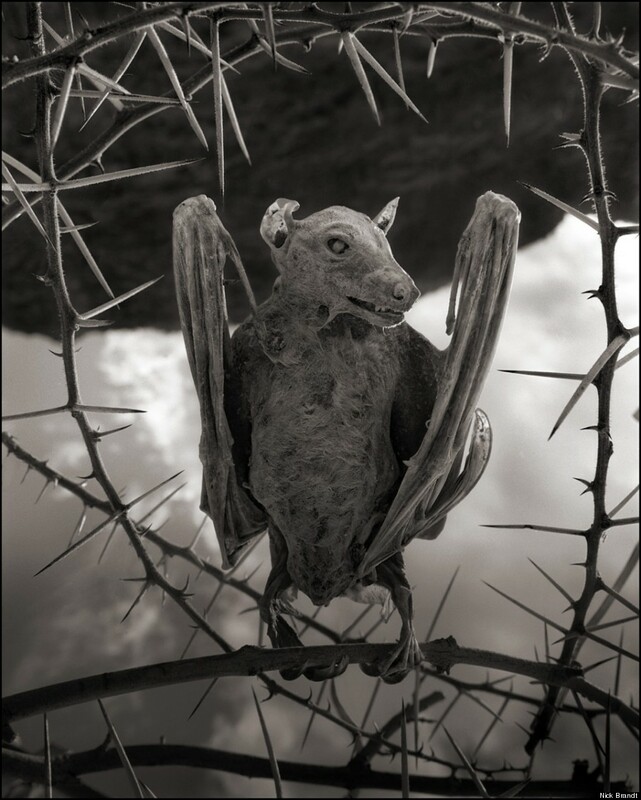 “Discovering [these animals] washed up along the shoreline of Lake Natron, I thought they were extraordinary — every last tiny detail perfectly preserved down to the tip of a bat’s tongue, the minute hairs on his face. 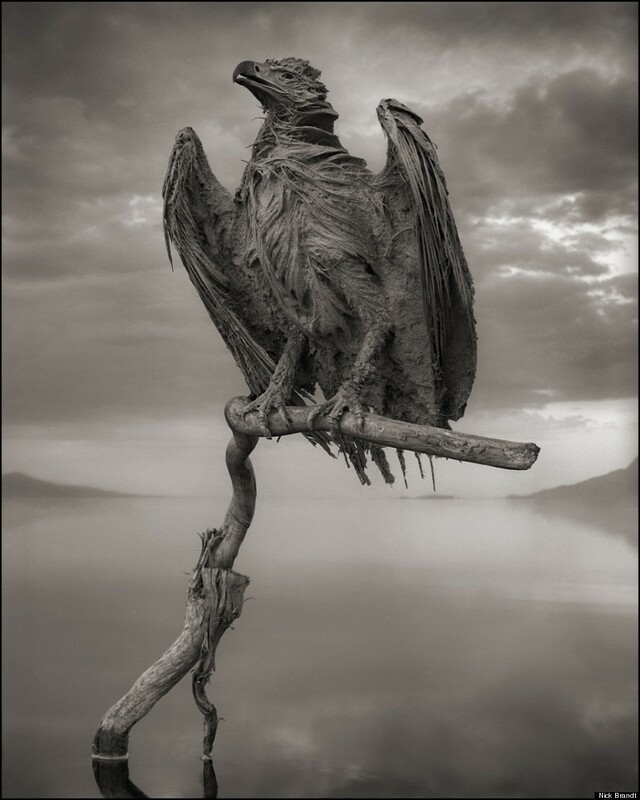 The entire fish eagle was the most surprising and revelatory find,” Brandt, who photographed these calcified animals in 2010 and 2012, told The Huffington Post in an email Wednesday. The creatures, he said, were “rock hard” from the calcification. 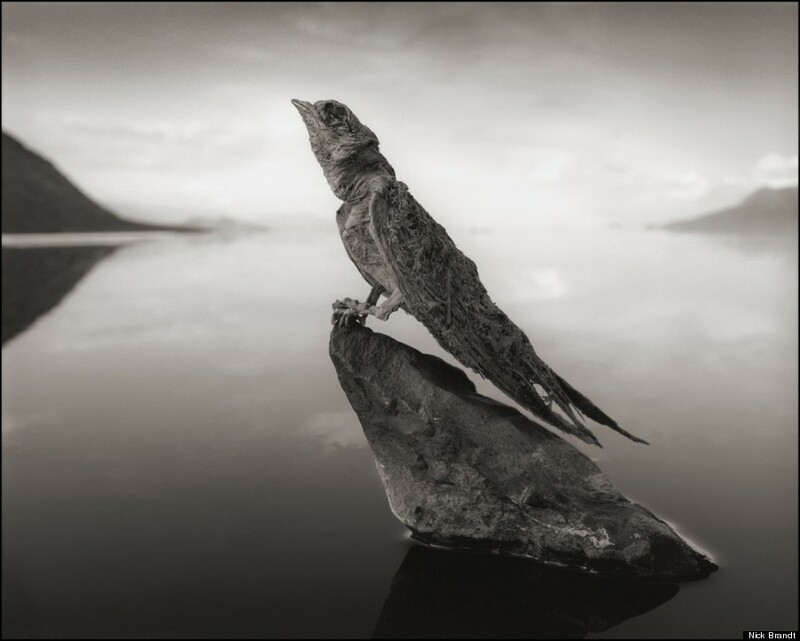 These stunning shots and other photographs can be found in Nick Brandt’s new book, Across the Ravaged Land. 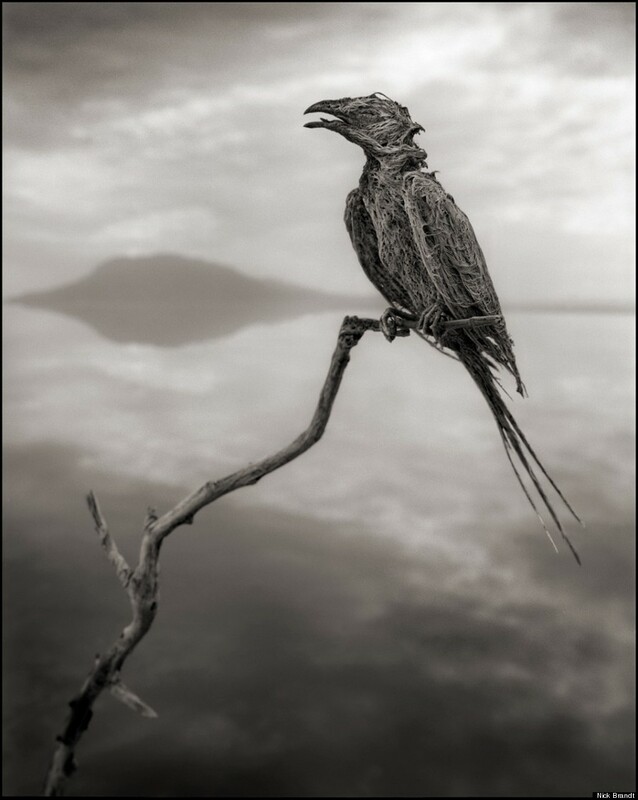 The title is the “third and final volume in Brandt’s trilogy of books documenting the disappearing natural world and animals of East Africa,” according to the photographer’s website. ~ by FSVSF Admin on 4 October, 2013.